Your servers, our engineers. Let us do the routine maintenance so you can focus on your business. Onetime 60% OFF Coupon Code: "SURPRISE60"
Onetime 50% OFF Coupon Code: "NHRUVZ50"
Onetime 50% OFF Coupon Code: "NLKVM50"
We have latest technology enabled servers and routers used to provide top hosting services. We pledge on personal information as well as data hosted on our network will be highly secured by law of datacenter locations. Try us and love us, or get a refund any time. You are never locked into a contract and there are no hidden fees. We have proactive monitoring down to seconds with reactive solutions in place to ensure the stability of the services we provide. We use enterprise software to monitor our entire network infrastructure. Our data centers are Category A, PCI compliant. With advanced Smart Routing technology & premium bandwidth providers, we maintain 99.99% network uptime. 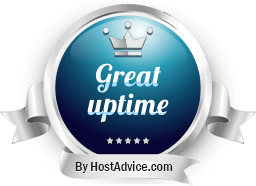 We stand by that fact with our uptime guarantee!